Dukes, of course, is world famous for its bar. 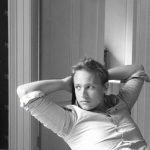 Run by Alessandro Palazzi and his team, it’s recognised by almost every martini aficionado as serving the best martini in London if not the world, so much so that Alessandro and the martinis are both spoken about in hushed tones of reverence. When it comes to food, however, Dukes has never really been well known. It has always had a perfectly decent restaurant, but not one that has lit the world on fire or drawn mass attention in the way restaurants at many of the larger famous London hotels have. A year or so ago, the hotel sought to rectify this (no doubt also spurred on by their next door competitor in both the luxury hotel and cocktail bar space, The Stafford, opening a new revamped restaurant) by replacing its restaurant with a new modern concept dining restaurant called GBR London. With GBR standing for Great British Restaurant, it’s clear both what its style is and its aspirations. Entering through the Little St James’s Street entrance I must confess to being somewhat taken aback by what met me: gull egg blue walls, with formal moulding, and faux aged smoked mirror tiles on the walls and ceiling, all tastefully done no doubt by one of the great interior designers of our day. The real shock was the TV on the wall playing football and then Eastenders in the dining or drinking nook before the main space of the restaurant, a space that had unlaid tables all over the place, giving an air of complete shambles and uncaring. This came as a result of the large group that had booked out part or all the space for a networking function, standing, drinking and speaking noisily with loud American accents, sucking the atmosphere out of the room. I’m afraid it all made me feel as if I was eating in an hotel bar where there’s little atmosphere and they just plonk down cutlery as you go or that I was sitting in the lounge of an airport or business hotel in the US. All that was missing was the failed crooner on the piano whom even the cruise liners and Britain’s Got Talent wouldn’t touch. Now I’m sure it isn’t normally like this and the service is run properly with laid tables and the sense that it’s a restaurant not a bar lounge; I’m told by one dining with me who has previous experience of GBR that this is the case. But on this occasion it wasn’t and it didn’t make for an auspicious start (the group was there the whole time even though the staff said the event was due to end shortly after we arrived and they slowly started laying tables in a way to hint that it should clear out or move to a smaller corner). What I will say is that the quality of the cocktail I chose to start at least hinted strongly at the quality of ingredients, creative twist on classic flavours, and skill of the staff. My interest was peaked in what the food would be like. The menu is a list of some 15 dishes that can be ordered either as a small size or large with respective average prices of £8 and £16 (so a two course meal can be had for £24) along with daily specials around the £20 mark. I, and my companions, started with the Wye Valley Asparagus served with peas, pea purée and pea shoots. It was a light dish with perfectly balanced flavours. The asparagus could not have been cooked better and its iron earthy quality set against the sweet freshness of the peas to perfection. 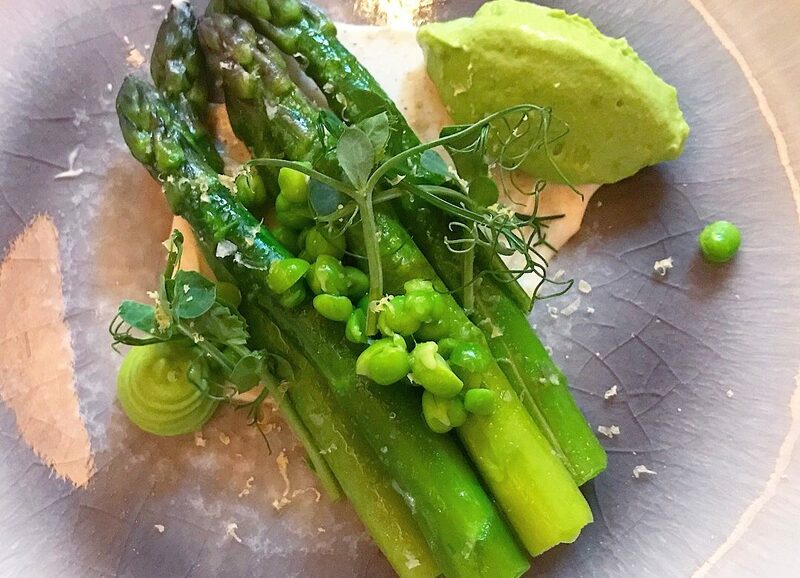 It is a dish that shows the asparagus to its fullness and should be had by any who dine at GBR when it’s on the menu. For our main course we all chose the ribeye steak with potato skins and peppercorn sauce as the dish of the day (£26). What came was not three 250g steaks as advertised, but three steaks of very different sizes, one nice and thick and about the right size for the advertised weight, another the same width but slightly thinner, and then one, again the same width (i.e. all cut from the same full ribeye) but half the thickness of the first. Worse still was that the thickest steak came medium rare not blue, the middle steak was medium not rare and the thin one was well done not medium rare. To the credit of the staff and manger, they were very apologetic and replaced them without argument, and comped on the final bill. 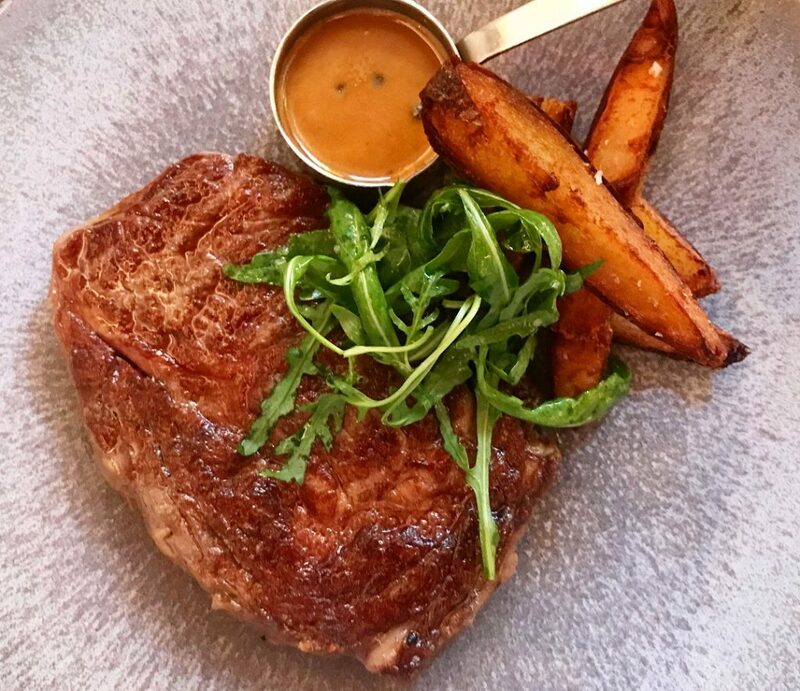 Sadly though, as is the case with many steaks at non-steak specialty restaurants, the ribeye was somewhat flavourless with the marbled fat and eye of fat lending nothing to it. I’d also say they were all slightly more done than requested though close enough that you could say they were at the further end of how they were ordered. The peppercorn sauce, filled with fresh green pepper corns, had a bold flavour though to me it seemed more curried in flavour than peppercornesq. I did wonder if its strength might in part have been to disguise the lack of flavour in the otherwise tender (but requiring of salt) steak. The potato skins were in fact wedges though superb ones and a stand out of the dish and among the many wedges that have passed my lips over the years. Would I go back? Yes, but I would avoid the daily special and stick to the main menu. Will I be back soon? Possibly but more out of circumstance than deliberate intention. The asparagus and service of the staff showed what GBR can do and I’m happy to put my experience down to a dud night given this event that had rather taken over. Did it make for the perfect experience? No, but certainly there was enough to convince me that it’s worth a second chance and could be a great addition to both St James’s and the options in London for good quality well priced food; £24 for two courses of the quality of cooking the asparagus showed is great value. They also offer a great sounding brunch menu along the same lines that can be made bottomless for 2hours at the bargain price of £15, which I defiantly will be trying.